September Prompt: Out of this World Book Covers! When a new school year begins, I always get very excited about purchasing all of my school supplies: pens, notebooks, all kind of colors and crayons, books. Books you mention?? Books by far are one of things I love the most!! It is simply inspiring to open a brand new book, and feel its pages that are eagerly waiting to be read! But what is a book without a cover?? For this month, and to continue celebrating the start of a new HOL term, your task is to come up with an original book cover, a book cover that screams OUT OF THIS WORLD! You are free to choose any topic, title or theme for your book, as long as it is crazy, eccentric, unusual, or alternative, it works fine! Harry Potter universe presented us The Monster Book of Monsters, a crazy book with fangs that bite! Or The Invisible Book of Invisibility, good luck finding it let alone reading it! With which idea will you come up to? Please share your amazing work replying to this thread. Remember to keep everything HOL appropriate, adhering to all HOL rules, and keeping your submissions 600x600 pixels or smaller. 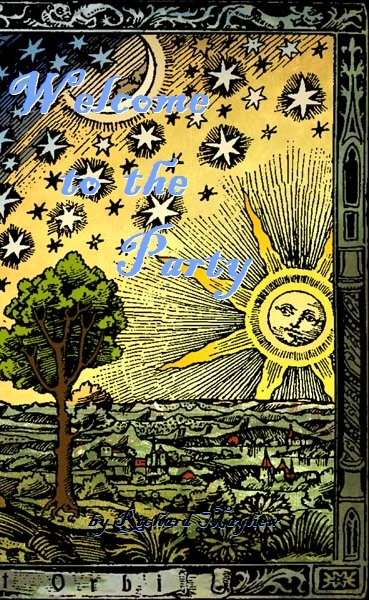 Welcome to the Party features graphics, stories, sentences and sometimes even songs celebrating the wonder of the worlds which lay beyond that of what is currently known on Gaia. Join us as the Tree People of Aegtrelia tell their stories in scents (translated by Richard Mayhew). Be astonished at the works of Leonardo daVinci the Fifth as he orchestrates new discoveries of personal flight and of clarity of communications between stars and two-leggers. 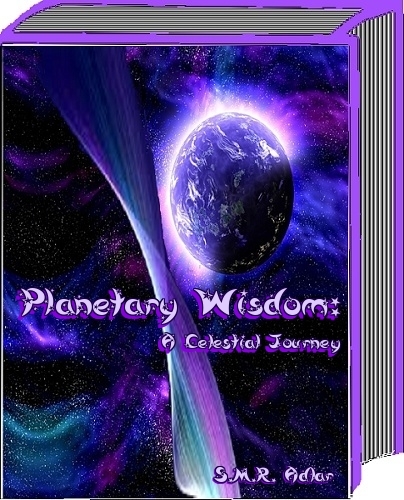 Read of how some people of Gaia (plant, animal and even some two-leggers) found out they could explore more of inner and outer worlds ... and how some even chose to migrate to other planets and places. 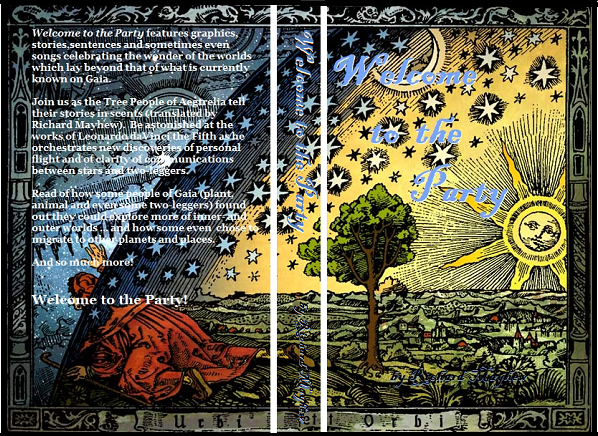 The picture itself is a coloured version of the Flammarion woodcut. Last edited by Prof. Gustavo Flores on Mon Sep 18, 2017 5:06 am, edited 1 time in total. You have to be very careful when opening this wonderful book because this book is all about DODGING so there will be quick a few Quaffles heading your way. I love this book and look forward to trying out what I've learned on the Quidditch field this year. Last edited by Prof. Gustavo Flores on Wed Sep 27, 2017 7:11 am, edited 1 time in total. I decided to write a book after studying a little of the way centaurs use divination and the wisdom that can be gained from it. Enjoy! Last edited by Prof. Gustavo Flores on Tue Oct 24, 2017 6:57 am, edited 1 time in total. Holding a mysterious leather suitcase in his hand, Newt Scamander, a young activist wizard from England, visits New York while he is on his way to Arizona. Inside his expanding suitcase hides a wide array of diverse, magical creatures that exist among us, ranging from tiny, twig-like ones, to majestic and humongous ones. It is the middle of the 20s and times are troubled since the already fragile equilibrium of secrecy between the unseen world of wizards and the ordinary or "No-Maj" people that the MACUSA Congress struggles to maintain, is at risk of being unsettled. In the meantime, the voices against wizardry keep growing with daily protests led by Mary Lou Barebone and fuelled by the increasing disasters ascribed to a dark wizard, Gellert Grindelwald. At the same time, by a twist of fate, Newt's precious suitcase will be switched with the identical one of an aspiring No-Maj baker, Jacob Kowalski, while demoted Auror, Tina Goldstein, arrests Newt for being an unregistered wizard. To make matters worse, with the suitcase in the wrong hands, several creatures manage to escape to unknown directions. Before long, this situation will catch Senior Auror Percival Graves' attention who will target both Tina and Newt amid panic caused by an invisible, devastating and utterly unpredictable menace that still wreaks havoc in New York's 5th Avenue. Is there a hidden agenda behind Graves' intentions and ultimately, what will happen to the remaining magical creatures still loose in the streets? Last edited by Prof. Gustavo Flores on Sun Feb 04, 2018 3:08 am, edited 1 time in total. Last edited by Prof. Gustavo Flores on Sat Jul 07, 2018 5:16 pm, edited 1 time in total. 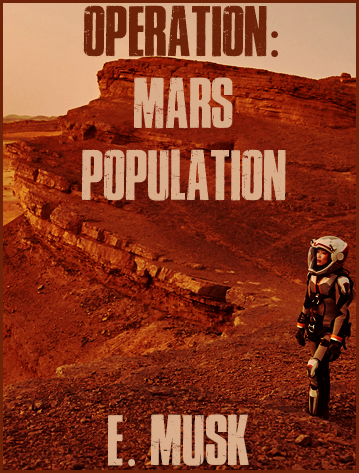 Image shows a human in a spacesuit standing on the red surface of Mars with words Operation: Mars Population on top in bold lettering. On the bottom is the author's name E. Musk. Coming from Elon Musk, this book represents a plan on how humans might eventually settle Mars.